* Put the prop at the front of engine frame. 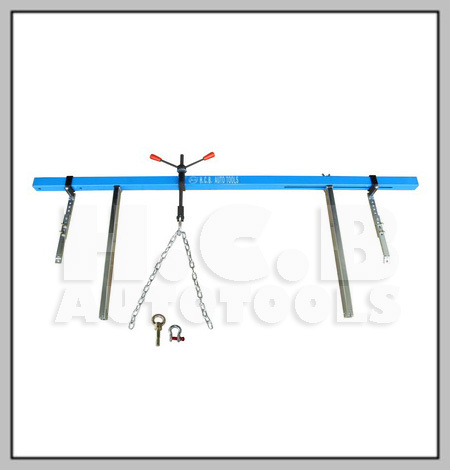 Then put the blue bar on the prop, make the blue bar into the hook. * Fix the backend on the shock absorber. * The design will make change engine socket or change oil pan conveniently and easier.